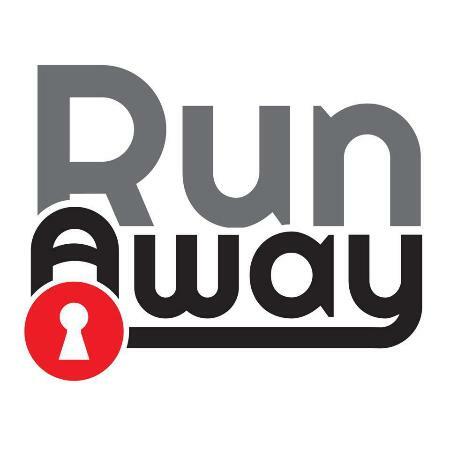 The first thing to mention about Runaway is that they operate two separate sites, and neither are very central. The first two games below are out west of the centre, while the last four are up north. Neither are in particularly bustling locations – don’t expect to nip outside for lunch between games although, if you walk south from the northern site for about fifteen minutes, there are plenty of restaurants near Vltasvka station (we ate in Pizzerie Flamengo, which I’d recommend). The owners were really accommodating: happy to play around with game times (on a weekday morning, admittedly) in order to make our schedule work as well as possible, as well as incredibly friendly when we met them in person. These games are never very difficult – expect to need only one or two clues. We had two hosts in the games: one of the owners, who was first rate, and an employee, who did an OK job. There’s nothing quite like being led into the basement, hooded and then locked up in a foreign country… Before you get that far, you’ll be wearing (clean!) orange prison attire, which is a nice touch – it both adds to the theming and means that your clothes stay clean (truth be told, that wasn’t really an issue). I really enjoyed the first half of this game – the set was what you’d expect from prison cells, the puzzles were enjoyable and I thought things were going pretty well. The second half felt much weaker – they added a bit of technology, which livened things up, but the puzzles became a bit hit and miss. Gettable, definitely, but a little bit of a leap for my liking. It picked up right at the end, but never really did enough to push it up to the level where I’d be recommending heading out to it specifically. Note that players with mobility issues will struggle with parts of this game – if you’re worried, contact them in advance. This was a fun room with a mathematical backdrop. Don’t let that put you off: no mathematical knowledge was required, although there were some nice references for those of you who might see that as a plus. There wasn’t really much of a story, and the set wasn’t amazing to look at, but the geometry of the space made it fun to play in. From my point of view, it was just marginally better than Guantanamo, probably because the puzzles felt a little more logical and consistent from start to finish. It still wasn’t crammed with high-tech gadgetry and tended to rely on padlocks, but there were several higher-tech moments and one particular mechanism that stood out nicely and caught me by surprise. This game was relatively new, and they were still refining it when we played. It’s well decorated in that way in which period rooms often are: some furniture, a few paintings or pictures and a sofa. Not earth-shattering but effective. The puzzles are what made this game for me – there were a fair number of very logical puzzles that kept us going till almost the end. It would have been a joy to play were it not for two puzzles late on, both of which we needed help on. The first was weak and, to make matters worse, was for a lock-out safe. I’d actually considered the correct solution but ignored it because it was too tenuous and IT WAS A LOCK-OUT SAFE. If you’re going to use a safe for a lock, the player needs to be certain it’s the right solution. We weren’t, so we called in a clue (although that still left some ambiguity about the solution…). The next puzzle was fair, but the nature of it meant that it was easy for two players to go wrong. Had we had three or more, I’m pretty sure we’d have cracked it without the need for a second clue. No complaints there – when playing as a two, you have to accept that some things are just more difficult and be extra observant. Overall, a very solid room with just one puzzle that took the edge off. Of all the Runaway rooms, this was my favourite. The story was that you had to stow away on Christopher Columbus’ ship and report back on what you saw. That story wasn’t really present in the game itself, but you were presented with a beautiful journey to America. The puzzles were fun and varied (although there was one puzzle that will be polarising – we knew we couldn’t solve it, so we called in a clue). One aspect I really liked was that there was plenty of back and forth: there were clues you got at the beginning of the game that you didn’t need till almost the end. The most memorable part of this game was somewhere in the middle – one of those moments that I play games for where the story and the scene are just brought to life by something in the game. This moment conveyed an aspect of the story so well that I had to stop concentrating on the game for a moment just to work out how they’d engineered it. It was absolutely beautiful. It’s worth mentioning that this game contained two puzzles that genuinely made me have to think hard (although obviously everyone is different – you might find them easy). One might qualify as the hardest fair puzzle I’ve seen in a game. People often ask about the hardest games I’ve played, and I almost always reply giving examples of rooms that have a large number of puzzles; it’s a nice change to come across games where individual puzzles are genuinely hard. We got out in about fifty-five minutes with just that single clue, although that’s not quite as tight as it might appear as this is a 70-minute game. As a longer-than-usual game with a pretty set, one particular wow moment, and hard but logical puzzles, I think it’s well worth making the journey out from the centre. This game should have been a total joy for us. It was a beautiful idea and carefully constructed but, ultimately, the puzzles within the room felt very, very weak. They weren’t all poor – one was a particularly interesting variation on a standard escape room puzzle – but some felt tenuous and one left us feeling bored and frustrated. It’s never a good sign when you’re genuinely bored in a game. Although we more or less worked out what we needed to do, we still needed to call in a clue. Even then we ended up brute-forcing the solution because we didn’t really understand how it was meant to work. That situation repeated itself later in the game, although by then it was partly because we were running short of time and so had to rush our solution. It’s a great shame, because it was a pretty room and a fantastic idea for a game, but it just didn’t deliver on the puzzle front. This was described as a beginner’s game but, if I’m to be honest, it didn’t feel that much easier than their other games. It was nicely decorated to give the feel of being deep in a jungle and it had a variety of basic but decent puzzles. Unfortunately, the first puzzle really stumped us and we needed a clue to start this “beginner’s game” – our search hadn’t been thorough enough – but thereafter everything was pretty smooth. The only other clue we took was on a perfectly fair puzzle which we really should have solved. A couple of nice mechanism and a pretty room made this an enjoyable end to the day, but I’d only play if you were already in the venue. That’s all on Runaway – want to read more about Prague games? Click here to head back to the main Prague page.